If you’re trying to sell your New Jersey home, you already know it needs to be clean. After all, few people would buy a home if it were presented in its natural state — with laundry strewn about the utility room, dishes scattered in the sink, and dog hair embedded in the carpets. You want to put your best foot forward when you sell your house, so of course you clean your home. There are a few ways to clean your home so that you get more bang for your buck. Indeed, we recommend that you focus on these highly visible areas to get it ready for market. There’s perhaps no more important interior space than the bathrooms when it comes to cleanliness. A clean bathroom sparkles just as a dingy one darkens an impression. Specifically, you want to eliminate any mold — especially the mold that forms in the grout between tiles. To do so, we recommend grabbing a new toothbrush and soaking it in a half-bleach, half-water solution. Spray the cleaning solution onto the tile and scrub away, and you should have more sanitary tiles! Cleaning your bathroom grout with a toothbrush certainly takes some elbow grease, so it’s understandable if this is the last task you want to complete as you get ready to sell your home. 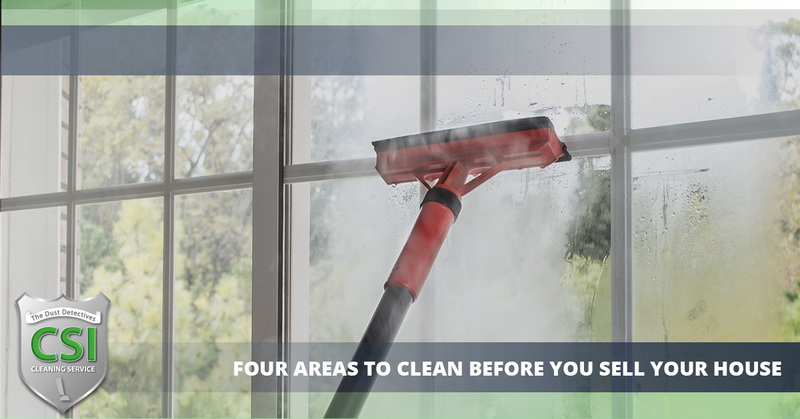 For help with residential cleaning, call our cleaning service in Vineland! Undesirable odors can hide in every surface of the home. In fact, you might not even know that your home has a distinct smell until someone else walks into it and tells you. If you tend to cook stronger foods like curries, your house might carry a residual scent. The best way to get rid of a strong odor, even if it’s a good one, involves carpet cleaning. Even if something smells good, you never know who might have an adverse reaction to certain flowers or air fresheners. Clean your carpet, refrigerator, stove top, and oven with baking soda. As a natural deodorizer, baking soda can neutralize bad smells. We’ve focused on the inside of your home, but the outside makes the first impression. Aside from landscaping and making sure your door looks nice, you also want to pressure wash your siding. Given that your siding takes up the lion’s share of your home’s exterior, it just needs to look good. Pressure washing can be difficult to do on your own, as it takes professional equipment. To get your home’s exterior professionally cleaned, be sure to contact a cleaning company that does pressure washing in Vineland. You also want to make sure your windows are spick and span, as they’re one of the most scrutinized aspects of a home for sale. Use a generic household cleaner to get this done, and make sure you’re washing with a clean rag. Our cleaning service in Vineland offers residential, commercial, and pressure washing services in Vineland. If you’re putting your house on the market, let us take care of the cleaning for you!